For our first visit to the borough of The Bronx. Bronx Community College is set on a beautiful campus. We will be sketching The Hall of Fame for Great Americans and Gould Memorial Library. They are both NYC landmarks listed on the Nation Register of Historic Places. They were designed by renowned New York City architect Stanford White. The inspiration for the Gould Memorial Library, is the Pantheon in Rome. The library is laid out as a Greek cross with a circular reading room crowned by a soaring coffered dome. Featured in New York’s 50 Best Architectural Treasures and used in many movies including: A Beautiful Mind (2001), The Thomas Crown Affair (1999), Sophie’s Choice (1982) and Goodbye, Columbus (1969). 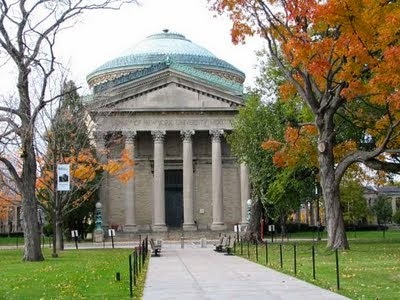 The Hall of Fame for Great Americans at Bronx Community College, is the original "Hall of Fame" in this country. Built in a sweeping semicircular Neo-Classical arc with wings at either end, it provides a panorama across the Harlem River to the Cloisters in Fort Tryon Park and beyond to the Palisades. How: Subway: #4 to Burnside Avenue. 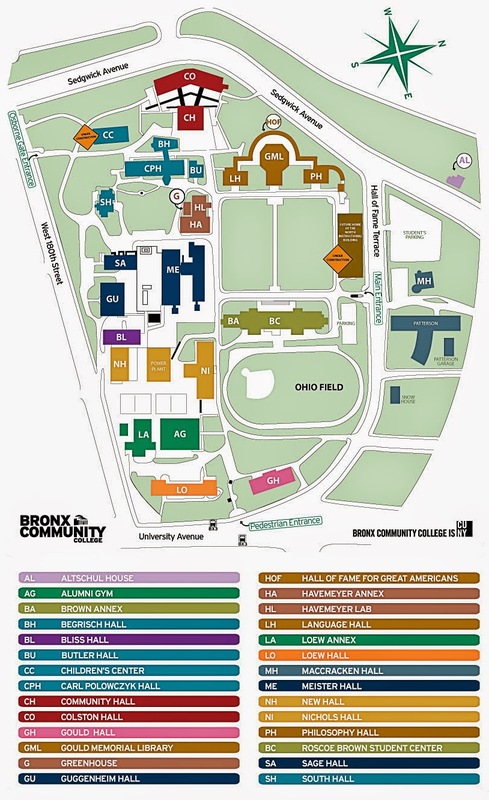 Walk four blocks west to University Avenue, then turn right and walk one block north to the College, or (not as close) the B Train to 182-183 Streets. When: Starting at 10 AM, we will be there for the day.